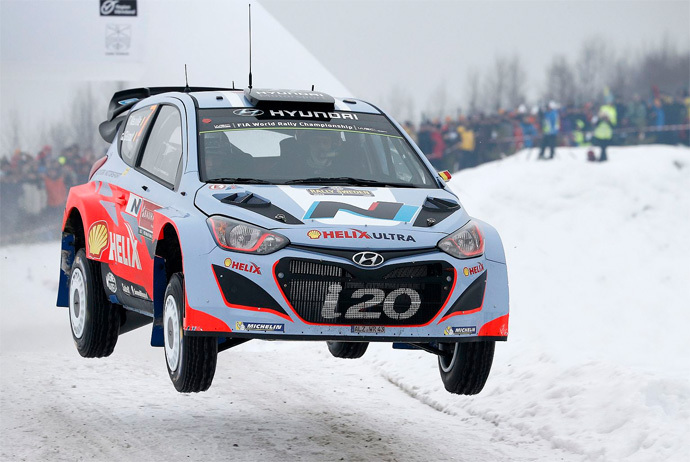 Rally Sweden is one of the biggest events in Värmland’s winter calendar, a time when hundreds of spectators gather and huddle together in the freezing cold to watch fast cars fly through the air above crispy snow-covered ground. Rally Sweden is the country’s largest rally event and is one of the many stages that make up the Rally World Championship. The event begins in Karlstad and drivers traverse routes winding through the pine-covered Värmland countryside. To fully experience the speed and adrenaline of the rally in action, head out to spectate along one of the stage routes in Hagfors or Torsby. And if you’re not that interested in car racing, then perhaps you’ll appreciate the chance to get a glimpse of Swedish royalty. Prince Carl Philip, the Duke of Värmland, is a patron of Rally Sweden and often makes an appearance.